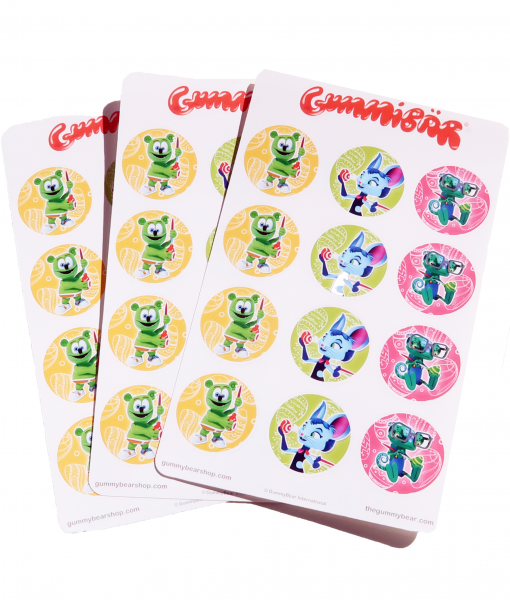 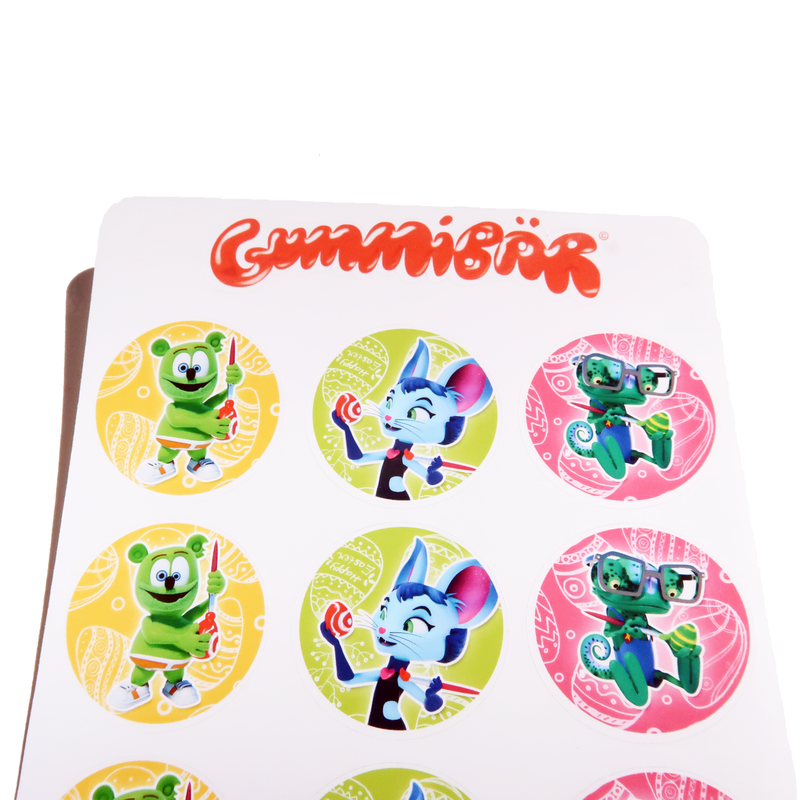 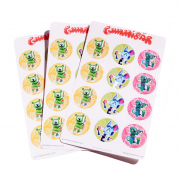 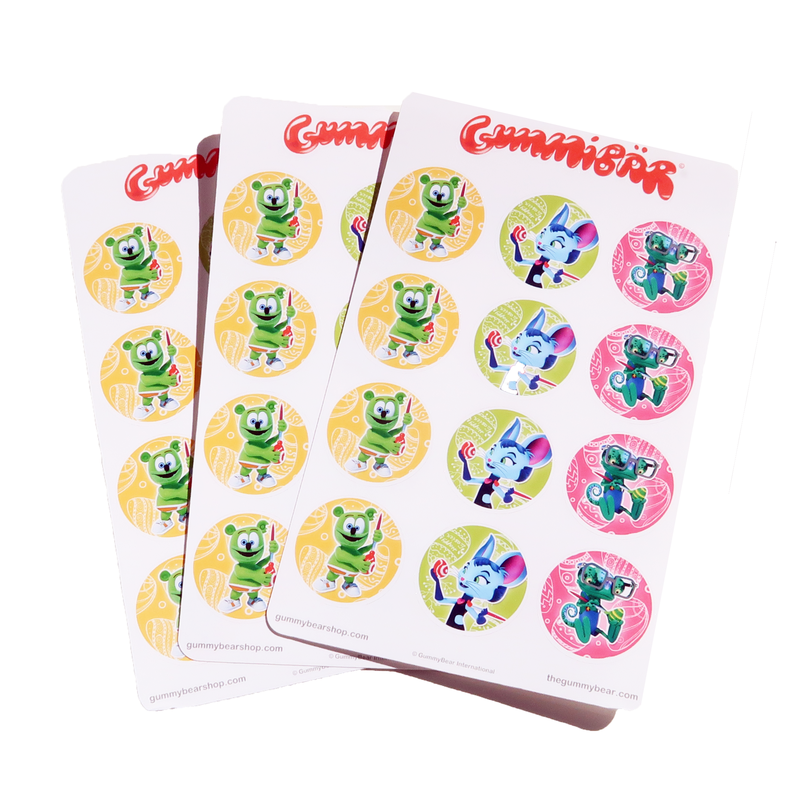 This colorful collector’s item includes 3 sticker sheets with 12 stickers on each sheet – a total 36 stickers! 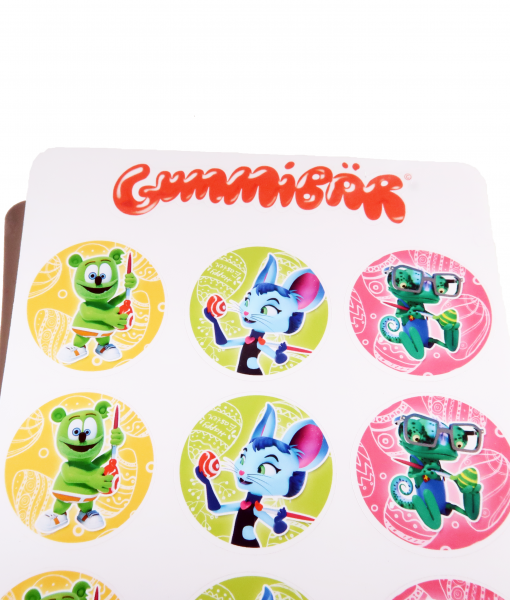 The sticker sheets are 5.25″ x 3.25″ but the actual stickers themselves are a cute 1″ diameter. 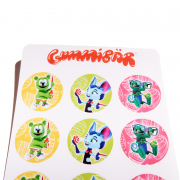 Great for goodie-bags, crafts, scrap-booking, journaling, decorating your planner, cards, notes, notebooks, anything! 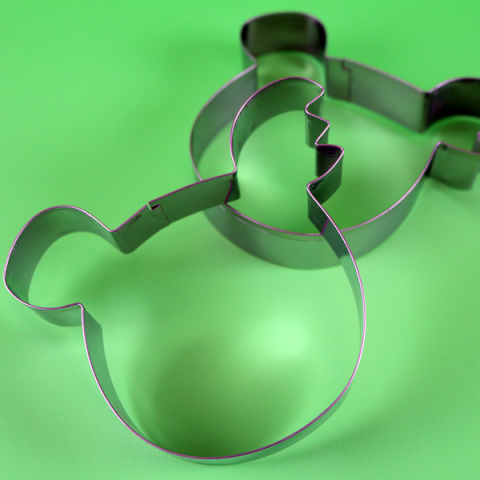 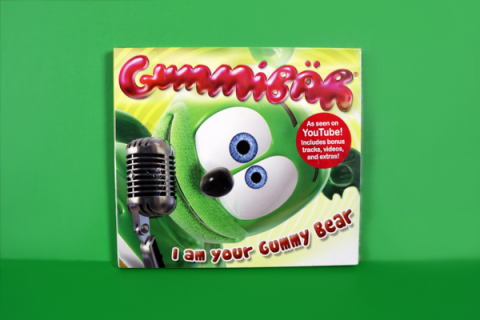 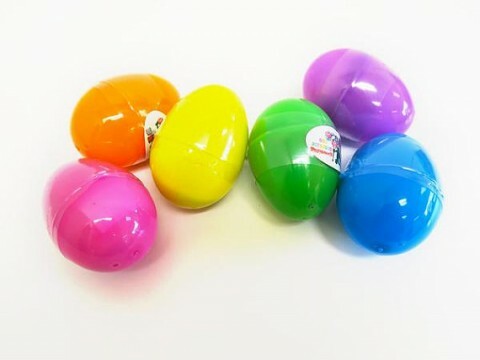 This item is part of Gummybearshop.com’s Limited Edition Collector’s Series – Easter 2019 CollectionThis is a Gummibär Shop Exclusive.